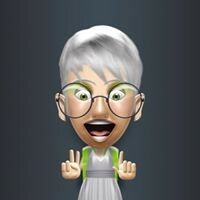 Carole is using Smore newsletters to spread the word online. Helping Toastmasters with club management! 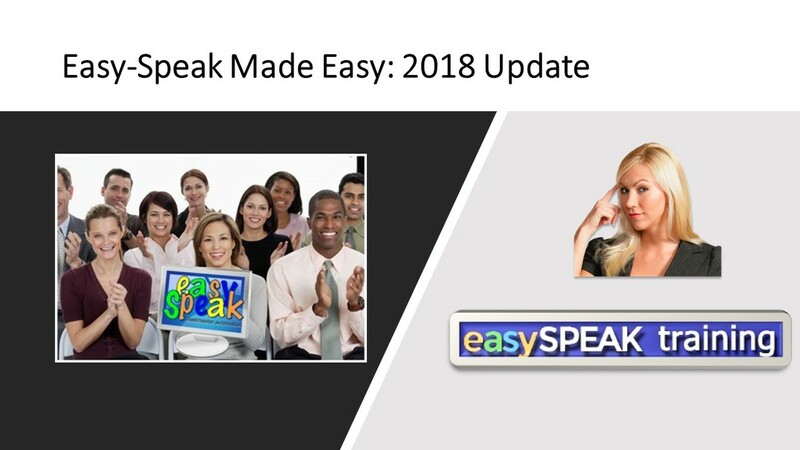 The New, Updated version of your favorite easy-Speak Made Easy course will be available for you on 1st January 2018. 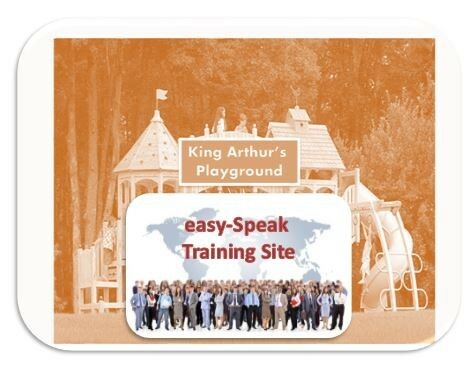 You will have access to the fictitious club site for King Arthur's Playground - who said you can't have fun while learning easy-Speak? Printable copies of the online modules are now available in the Files of the ES Toastmasters Community Facebook group and at the new shared ES Shared Files Google Drive. Contact me through the email function here in Help Desk. Help Desk Bookings for individual help for new users are offered a few times in the month. Please visit this site to book a session in February/March and June/July 2018. Scheduled group webinars will be published in Events for the easy-Speak Toastmasters Community Facebook Group. Sessions will be scheduled in Zoom software, check the Zoom Support page for help. Resources from the July webinar: "easy-Speak for Club Officers"
Seeking presenters who have short videos on any of these topics and more! If you are interested in discussions about these sessions and other easy-speak issues, please join the easy-speak Toastmasters Community. Latest series of video webinars now available - live or on-demand from District 39. There are new 'How To' Videos for VPEs available in YouTube for those who prefer to learn visually. Access the videos in the easy-Speak Support Team channel. Check out these recent additions to YouTube from the Redmond Toasters Channel. 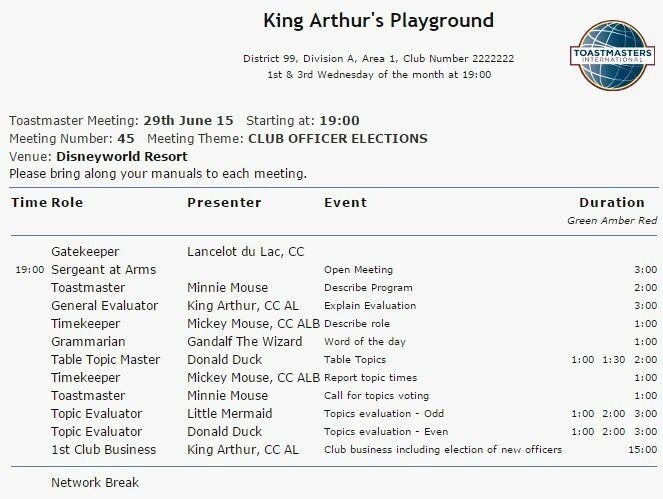 Instructional webinars are provided to help new club officers with easy-speak. Short Videos on each of the Base Camp tutorials linked above. New Recording Software is being explored for ease of Pre-recorded sessions for your convenience, and will be accessible at any time. 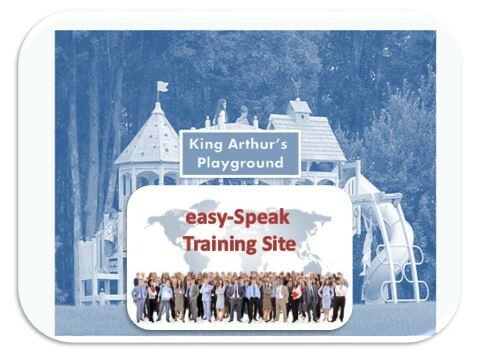 Are you currently using easy-speak at your Toastmaster club(s)? Need some help? Join the easy-Speak Toastmasters Community at Facebook, and add your suggestions for future Webinars to be held in a virtual meeting room. check here for helpful advice. If you are a first time user of GoToMeeting web conferencing tool, check here for helpful advice. If you are planning on supporting other easy-Speak users in your clubs you may need some instructional designed learner guides. A print based resource: the 'easy-Speak User Manual' has been developed by another champion and is available here. Thanks to D69 Champion Simon Cornwill. This is a project under construction. Many useful slide decks are also available from Slideshare here - feel free to download and amend to suit your needs. 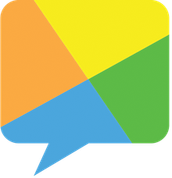 "After using a spreadsheet for many years, moving to Easy-Speak was not only an enormous time saver, but it also provided so much more information at the click of the mouse. Being a web based tool, easy-Speak makes it easy for others to fill in for the VPE as required. This is the only “complete club management system for TM clubs on the planet”. Proves to be an amazing system - a must have for every club." Do you know, as a PR member I am getting into the power of the blog and it's alternative the discussion board. Having now linked it to our clubs FB group and run the RSS feed through our website, I can get my members to join in the online PR of our club without thinking about it! 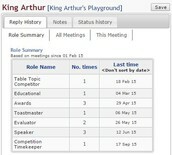 Members can elect to fill the role(s) they want on the night. 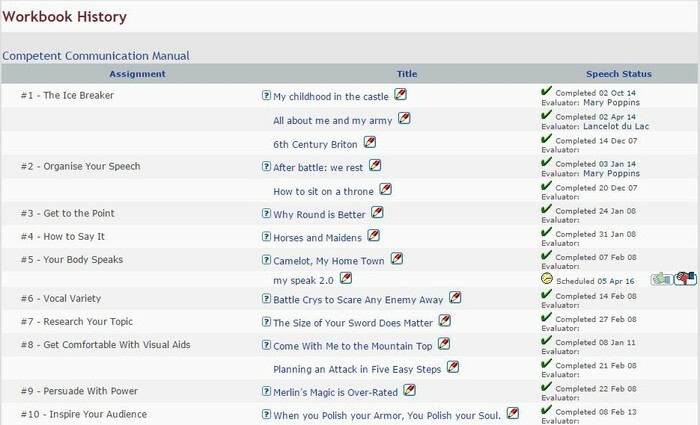 We need to leave a few gaps for visitors that feel confident to take on Ah Counter or Jokester. 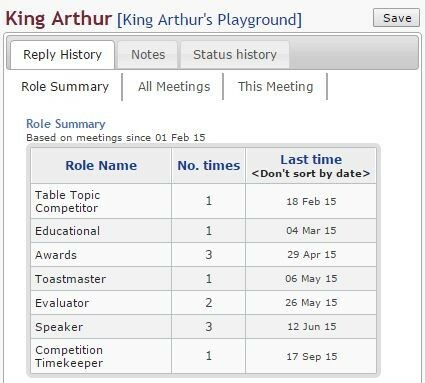 I love the history saving feature on when our members completed their speeches and roles. When we need to submit awards, we just need to go to Communication or Leadership Progress of the member. How can that be beaten by any other planning system? Another wonderful feature is the 'paid to' info. My club offers members the option of paying for a year at a savings of $5. During this dues renewal, any officer can see who has paid and who we need to ask to pay. Love this feature. 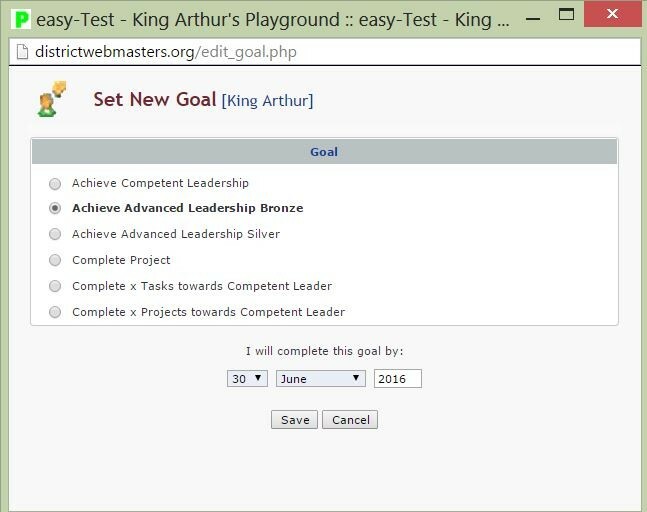 I use the Club Charts to monitor the progress of speeches and completion of leadership tasks before assigning the roles and scheduling the speeches. I could not do that efficiently as a VPE without it. I work with the VPM to check that members know how to set their OWN goals in easy-Speak and empower them to take charge of their education pathways.